January 1943. Daytona Beach, Florida. "Bethune-Cookman College. Football practice." 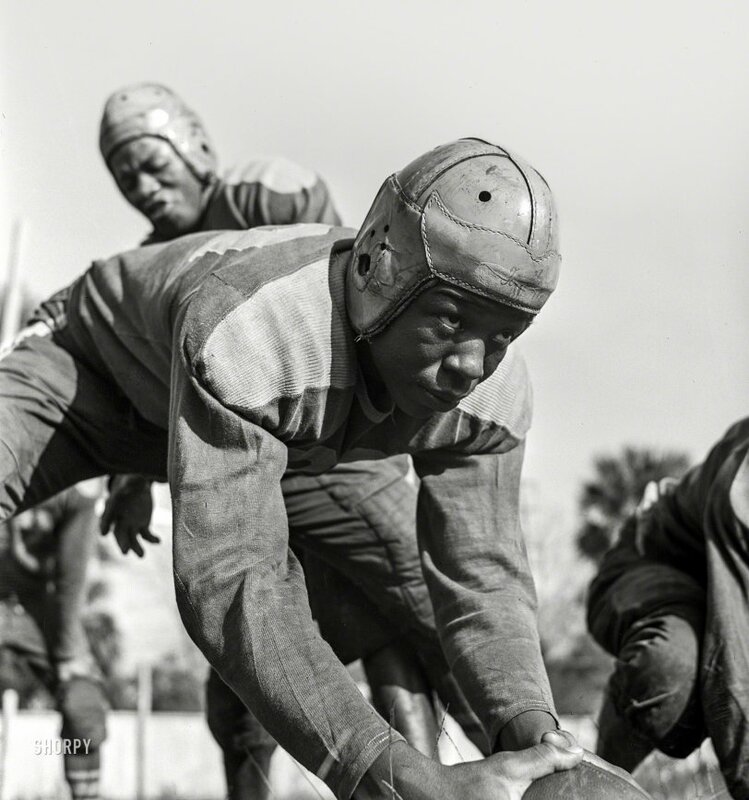 Photo by Gordon Parks, Office of War Information. View full size. Submitted by davidk on Tue, 02/06/2018 - 9:19am. Fast forward three-quarters of a century to Super Bowl LII, and imagine what these two fellows in their finely-stitched leather helmets would think about the helmets on their 2018 counterparts: a single molded plastic object, with chin strap, projecting face guard, some with darkened visors. They would do well to wonder what strange creatures from the future these be. Maybe astronauts? Oh right, these guys wouldn’t know yet what an astronaut was.